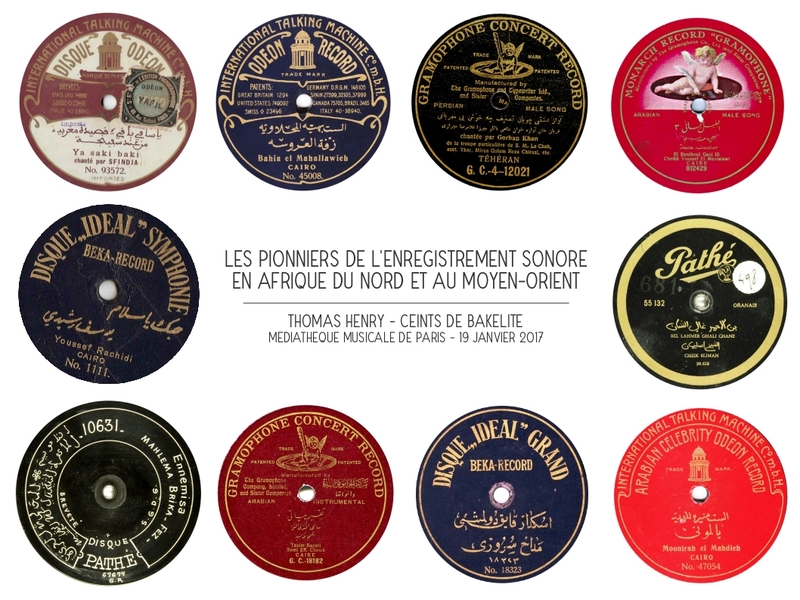 I was recently invited to make a lecture about early sound recordings in North Africa and the Middle East at Paris Music Library. For those who can understand French, the video of the lecture is now available online. Thanks to all those who helped me preparing my presentation: Jonathan Ward, Mehdi J Blige, Henri Chamoux, Will Prentice, Chris Silver, Kamal Kassar, Claude Fihman, Hugo Strötbaum and Damien Poncet.